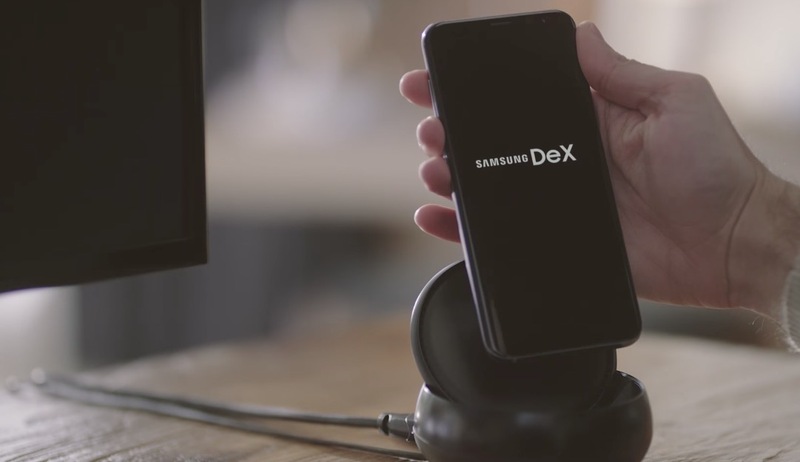 In late-November, we learned that Samsung may introduce a new DeX docking product for its lineup of Galaxy devices. There wasn’t a confirmed name associated with this product, but it was reported that users could place their Galaxy phone flat on the dock and use their phone as a touchpad or virtual keyboard. Well, it is now reported that DeX Pad has been trademarked by Samsung, pretty much confirming the existence of this upcoming DeX product. We still don’t have too many specifics in terms of usage, but our best guess is that once the phone is docked and laying flat, you could use the smartphone’s display as a track pad for the monitor you have connected. It’s a straightforward product, I’d say. As for when it will launch, we assume it will be around when Samsung launches the Galaxy S9, which could be relatively soon. The device, along with the Galaxy S9+, recently passed through the FCC, rather early compared to past Galaxy flagship devices. DeX users, does this new product interest you?